People who through their wills or during their lifetimes create charitable funds usually determine the scope of charitable causes that may be supported by the fund. Sometimes they give the Foundation board discretion to award grants to other charities in or serving Shelby County, Ohio. These ‘community granting’ funds may have few or no granting restrictions and their awards are determined through a competitive process based upon proposals submitted by local organizations. Please review the Grant Guidelines each of the following grant programs for specific dates and steps in the process. Community Grants are now available during two cycles a year. The 2019 Preliminary Proposal deadlines are Jan. 31 and Aug. 7, 2019. Final awards will be announced in late April and October. Community Grants are awarded through the Community Impact Fund, as well as the Roscoe Beanblossom Fund (youth), John Douglas Long Blind Fund (blindness or serious vision impairment), and the Shelby County Medical Services Fund(medical). Next deadline is October 1, 2019. Final awards will be announced in late October. Schools located within Shelby County, Ohio are eligible. The preference is for educators teaching grades K-4 to apply for arts materials used in the classroom or for arts programming, but other related requests will be considered. Starting in 2019, grants will be awarded during two grant cycles a year. Grant proposal deadlines are March 7 and September 12, 2019. Final awards will be announced in late April and October. This granting program is restricted to organizations in or serving residents within the boundaries of the Botkins Local School District. Each grant program has its own application, which is available approximately 2 months before the stated deadline. Please review each program’s grant guidelines for eligibility requirements, deadline dates and funding preferences. Grant proposals are reviewed by volunteer committees who recommend grant awards to the Foundation’s board of trustees for final approval. Generally, funding awards are announced within 6 weeks of the proposal deadline. In the case of the Community Grants, the announcement is usually within 6 weeks of the Full Proposal deadline. Grant awards are typically paid in installments with 80% of the grant award paid upon the return of a signed letter of acceptance and 20% paid after the submission of a Grant Evaluation Report that verifies you fulfilled the proposed grant and any conditions. Tax-exempt organizations as described in § 501(c)(3) of the IRS tax code, as well as government agencies, are eligible to apply for grants. Organizations that are not public charities may apply through a fiscal sponsor or, if incorporated as an Ohio nonprofit entity, by satisfying steps in our expenditure responsibility process. Organizations must serve residents of Shelby County, Ohio and surrounding areas. We are unable to award grants to individuals, except in the case of scholarships, which are awarded directly to the educational institution on behalf of the student, or if you qualify for vision assistance through the John Douglas Long Blind Fund (see application here). How do we know if our organization has a 501(c)(3) status? The IRS Letter of Determination should be kept on file as proof of the type of status granted by the IRS. You can search the www.IRS.gov website to find if your organization has a current 501(c)(3) status. Go to the Charities and Nonprofits section and complete a Tax Exempt Organization Search. There are several types of 501(c) statuses and most are not eligible to receive tax-deductible contributions. For instance, many service clubs have a 501(c)(4) status and a chamber of commerce often has a 501(c)(6) status. How do we know if our organization is incorporated in the State of Ohio? Go to the Ohio Secretary of State website at www.sos.state.oh.us and complete a Business Search using the name of your organization. If your organization type is shown as: Corporation for Non-Profit, this means only that your organization is recorded that way by the State. It does not give you the ability to receive tax-deductible gifts nor send out tax deduction receipts to your supporters. Filing for an Ohio Non-Profit Corporation recognition is one of the first steps to complete before applying to the IRS for a 501(c)(3) tax-exempt status. The Ohio certification must be renewed every five years to remain active. A fiscal sponsor is a 501(c)(3) public charity or governmental entity that agrees to act as the sponsoring organization for a grantseeking organization that does not have a 501(c)(3) status. A fiscal sponsor maintains full discretion and control over the funds received for a project and has the right to withdraw financial support from the project if its original goals are not being accomplished or the grant agreement is not followed. This means that the non-exempt group and the fiscal sponsor should maintain a good working relationship, and the fiscal sponsor should monitor the project in some way to ensure the funds are properly spent. I’m an individual in need of assistance, can you help me? Unfortunately, with the exception of scholarships or limited vision funds, our granting funds cannot give to individuals. Please dial 211 to receive information and referrals for help through the Shelby County United Way’s 211 system. How do I request a grant from a Donor Advised Fund? 1. Approach the donor personally. Treat them as you would any individual, couple, family or business you might approach for support. If they want to send support, they might give from their personal resources or contact the Community Foundation to recommend a grant from the fund they advise. 2. Submit a proposal through the Community Grants process. We send to our donor advisors a summary of all requests we receive in the Community Grants process. One of these charitable funds may select your grant proposal for full or partial funding. We always appreciate recognition about funding awards! Please recognize the name of the awarding charitable fund, unless you have been notified of a naming preference. Some donor advisors prefer their personal name, fund name or anonymity on certain grants from the fund they established. 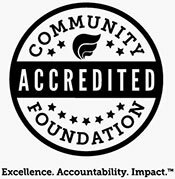 If you are unsure, you can contact us for verification or state: The ______ Fund of the Community Foundation of Shelby County.